For the third year in a row, I packed my Sprint Blue Audi S5 with a cooler and photography equipment and made the trip up to Audi Expo. 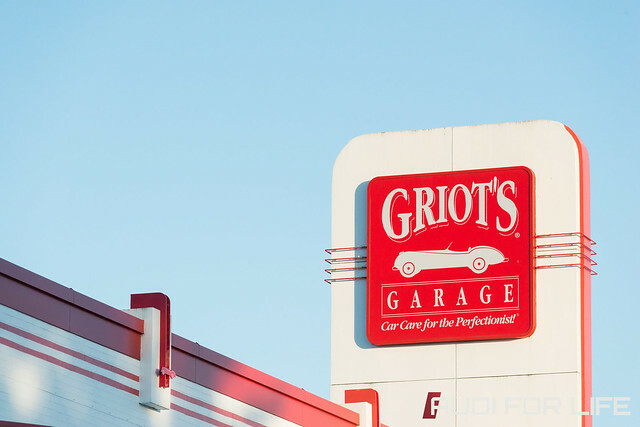 The event was held at its usual location, Griot’s Garage in Tacoma, Washington. 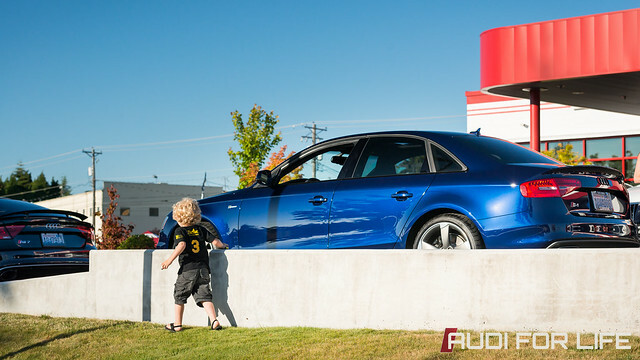 With the help of the bright sun, a stream of Audis started rolling in even before the official start, which was set for 4:00 PM. 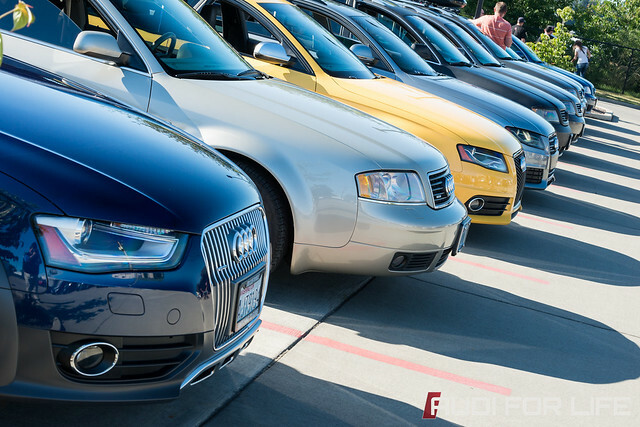 By 4:30 PM, almost the entire parking lot was filled up with various Audis, new and old. Not only could you feast your eyes on many different Audis, but there were burgers and truffle fries, made and sold by BUNS Gourmet Natural Burgers, to provide a nice feast for your belly as well. One of those Audis was the black Audi R8 Spyder that Sheree Heil, of Tacoma, had won on “The Price Is Right” back in 2013. Parked up along with several Audis brought to Audi Expo by Larson Audi of Tacoma and University Audi of Seattle (two of the event sponsors), was a Panther Black Audi RS 7 Sportback. The RS 7 was a huge hit by those that came to Audi Expo, it had almost earned a noteworthy mention. More on that in a bit. 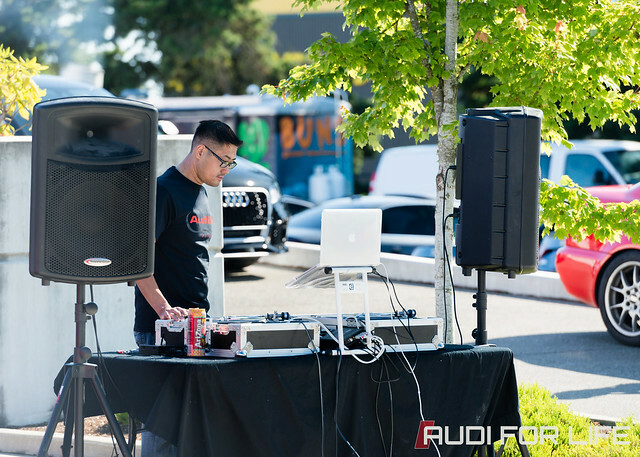 Along with Larson Audi and University Audi, Audi Expo sponsors included Sameday, Achtuning, Northwest Auto Salon, Audi Club Northwest and Sykart pitched up tents and displays in the lawn in the northern part of the parking lot. 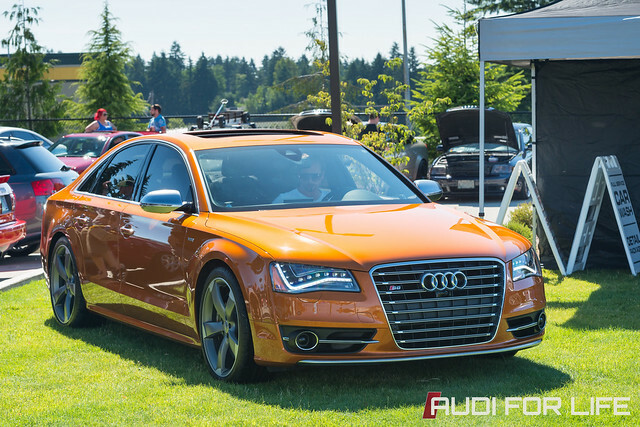 Northwest Auto Salon had an Audi Exclusive Samoa Orange S8 proudly on display. 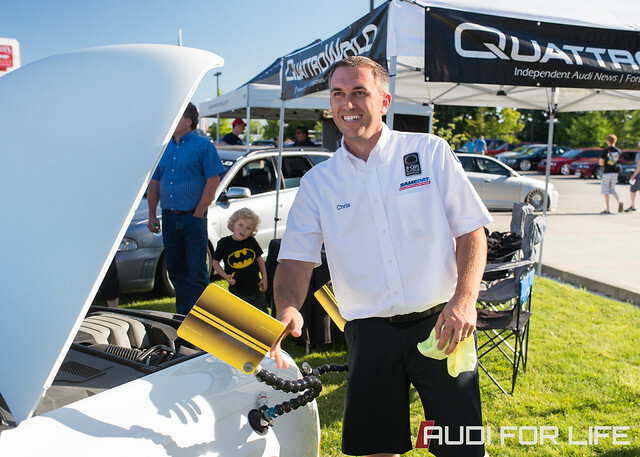 Josh Decker, of Quattroworld and Tagboard fame, also had a tent and his B5 RS 4 Avant set up. The guys at Sameday had their mobile repair van set up and demonstrated their paint-less dent repair on a C6 Audi A6 and a Volkswagen Golf R32. 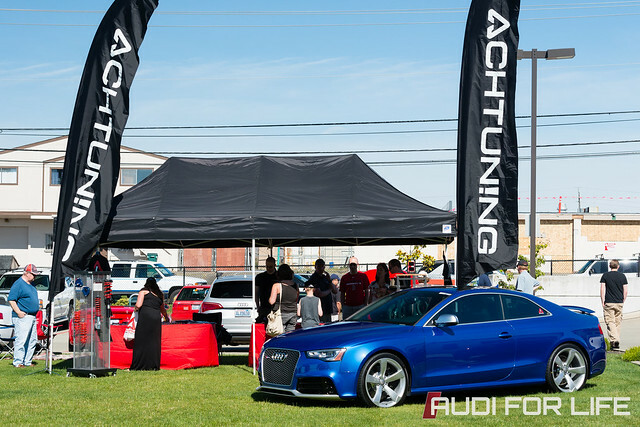 In front of the Achtuning display was a gorgeous Sepang Blue Audi RS 5 coupe with Matte Alu Optics package. Accompanying the Audis and Audi fans that were at Audi Expo, there was a DJ providing the tunes and had his red Audi A4 in display next to his DJ set up. His A4 ended up winning enough votes to be named the 2nd Best in Show. 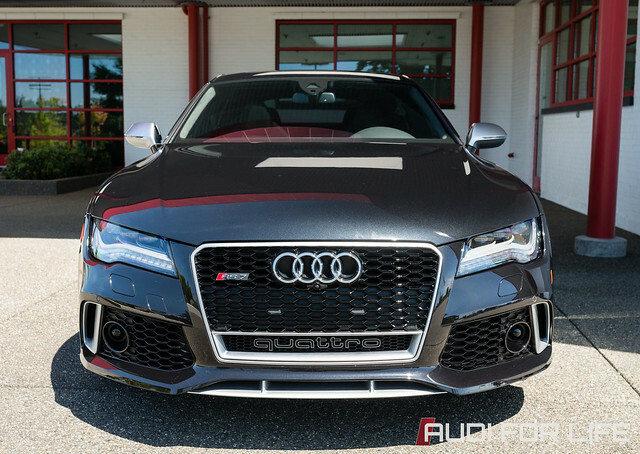 Technically, the A4 was tied for second with the Panther Black RS 7 mentioned earlier; but, because the RS 7 was a dealer car, it did not count and his A4 got the title. 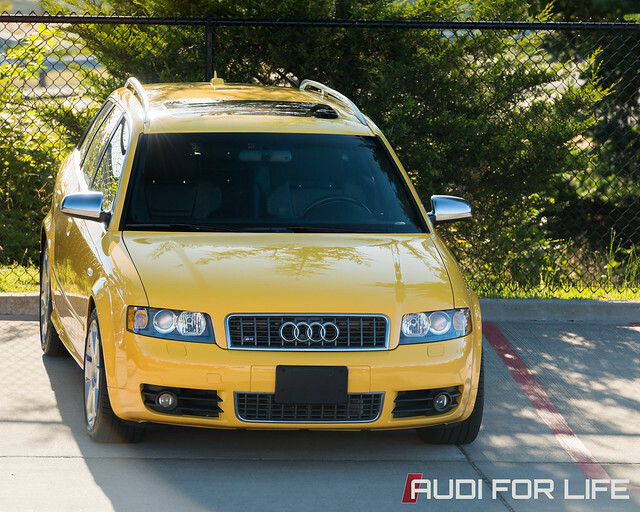 The car that got won the Best of Show title for Audi Expo 2014 was beautiful and clean 1995.5 URS6 Avant. Just before the aforementioned “Best of Show” winners were announced, there were quite a bit of swag and prizes that were given away as part of drawing of names and a few dash-and-grabs. The event wrapped up afterwards and I packed up and made my trek back down to my humble abode in Oregon. Audi Expo 2014 was a great success and it was phenomenal to meet and chat with such great Audi enthusiasts. 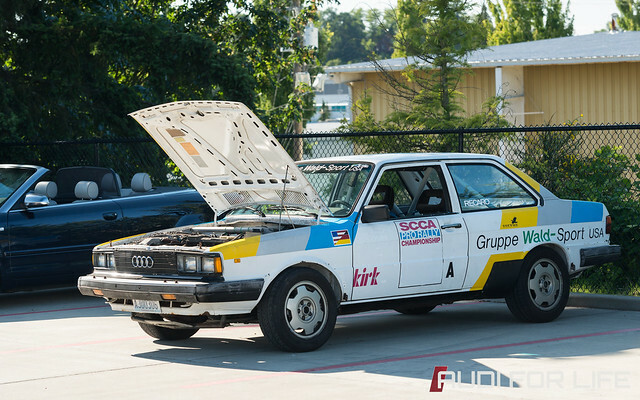 Huge thanks to Griot’s Garage for hosting Audi Expo 2014 and to Brian Presser for putting together the event. I’m already anxious to head back up to Audi Expo next year and to meet more Audi fans! You can view the rest of the photos that I took at Audi Expo uploaded to the “21 Jun 2014 Audi Expo 2014” album on Flickr. Also, make sure to follow Audi Expo on Instagram to see and check out their Facebook page.